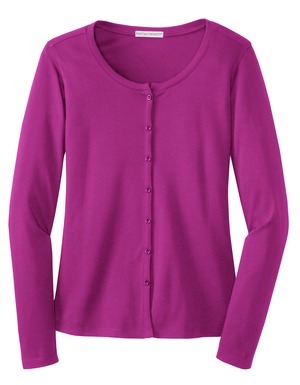 An essential top layer, this cozy cardigan has gathers at the back yoke and a 7-button cardigan placket with dyed-to-match buttons. Ideal for the office or after-hours, this feminine top is crafted from our incredibly smooth Silk Touch interlock knit. 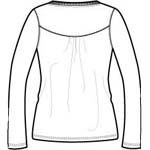 Soft and durable, it resists wrinkles for a relaxed look all day long. Wash cold, tumble dry medium.